The activity is part of Aurora 17, the main Swedish military exercise for over 20 years. During exercise Aurora 17, a JAS-39C Gripen fighter jet trained to land on a public road in Gotland area, Sweden, Sept. 6. This training aims to reduce the vulnerability of the nation's military airfields with the ability to operate from public roads for air combat operations. 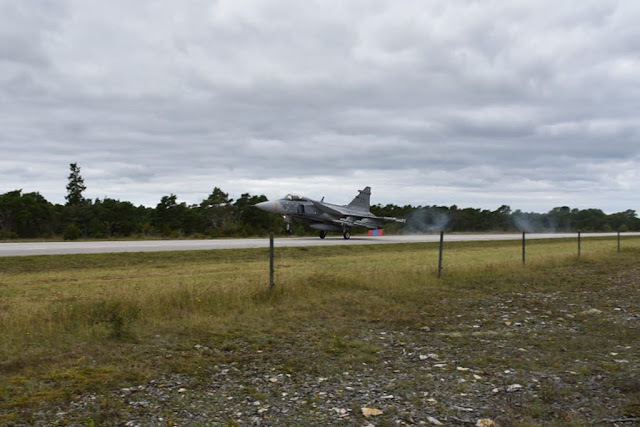 The activity has demonstrated that it is possible to conduct air operations with Gripen aircraft from a large number of roads. It is a new concept of combat based on a formula already introduced in the 1990s. Armed force will continue to develop this training method in the future. - Armed force conducts this training because we expect that a potential opponent will affect our ordinary air bases and limit our takeoff and landing capability. The concept of training is to increase the areas of operations beyond the regular air bases. Today, the extension of the operations area has begun, we evaluate parts of the road that will allow aircraft to land with simple actions, - Brigadier General Gabor Nagy said. The training is part of the Aurora 17 exercise that is taking place in Sweden. It started on September 11 and will end on 29. It is the largest armed forces exercise held in Sweden for over 20 years. Its aim is to increase the defence capabilities to meet an attack against Sweden. 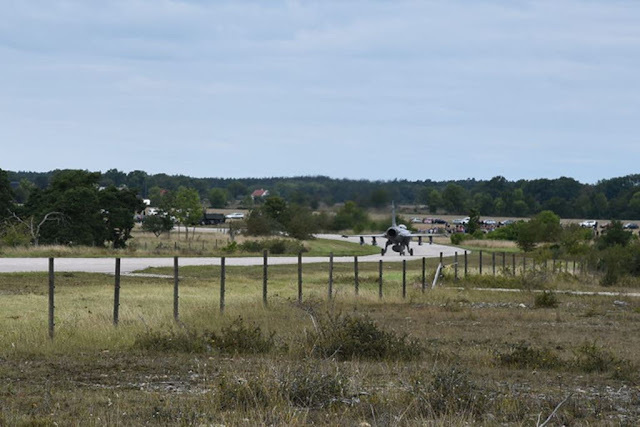 A total of some 19,000 men and women from the Swedish Armed Forces and staff from some 40 other agencies are taking part in the exercise together with military units from Denmark, Latvia, Estonia, Finland, France, Lithuania, Norway and the United States.